Through its competitive grants process, the Miriam Rosenthal Foundation for the Arts selected these projects for the new arts season. 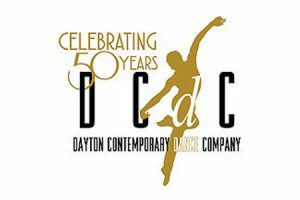 Dayton’s premier contemporary dance company will culminate its 50th Anniversary Celebration with a special performance at the Schuster Center. The Dayton Philharmonic Orchestra will join forces with DCDC on this special occasion. Included in this anniversary performance will be an original work choreographed by Kevin Ward, former Artistic Director of DCDC. Mr. Ward is serving as Project Manager for the 50th Anniversary Celebration Performance. Another highlight of the concert will be a performance by the Dirty Dozen Brass Band from New Orleans. Other works on the program include American Mo by Crystal Michelle, and Children of the Passage by Donald McKayle and Ronald K. Brown. The latter work was debuted at the performance that marked the 50th Anniversary of the Miriam Rosenthal Foundation for the Arts in 2015. A major grant from the Rosenthal Foundation underwrites this Anniversary Performance. The Rosenthal Foundation will be the sole underwriter for the Bach Society’s March 2019 performance of Johann Sebastian Bach’s monumental St. Matthew Passion. The scale of this choral work is so great that it is seldom presented. As written, this one of two Bach “passions” requires two orchestras, multiple special instruments, two choirs including a treble choir, and six soloists–one of whom serves as narrator. 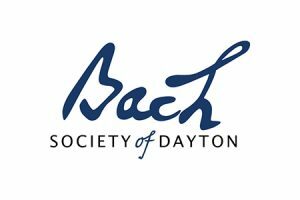 Collaborating with the Bach Society in presenting this performance will be the University of Dayton Chamber Choir and musicians from the Dayton Philharmonic Orchestra. Dr. R. Alan Kimbrough, who has served as accompanist for the Bach Society during the past 40 years, will be honored by the presentation of his favorite Bach work. The Dayton Ballet has not performed Sleeping Beauty in more than thirty-five years; the last time was in 1980 when the Ballet performed Stuart Sebastian’s classical libretto ballet version. As envisioned by Artistic Director Karen Russo Burke, the new production will have a horticultural theme and will feature whimsical flower fairies and woodland creatures who will retell the story of Briar Rose, adopted by a childless couple. The “prince” is an arborist named Arden, and the villain, a vulture called Cinereous. 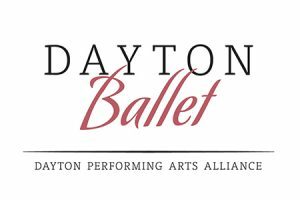 The story will remain the well-known classic tale, but with an inventive perspective on the theme of “good vs evil.” In addition to the Dayton Ballet professional company of dancers, the cast will include dancers from Dayton Ballet II. The Dayton Philharmonic Orchestra will accompany Dayton Ballet, performing the well-known score of Tchaikovsky. 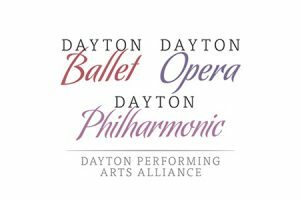 A special feature of this project, and in keeping with the Dayton Performing Arts Alliance’ vision to “transform lives through the power of music and dance”, will be Dayton Ballet’s first ballet to be adapted to include a sensory-friendly performance. For individuals with sensory sensitivities like Autism Spectrum Disorder and Social Cognitive Disorders, this extra performance of Sleeping Beauty should be a safe, comfortable, welcoming and enriching arts experience. 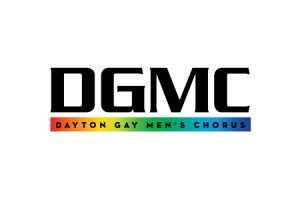 Capping off its 2018-2019 concert season, the Dayton Gay Men’s Chorus will present a concert with guest artist and internationally-known performer, Christine Pedi. The DIVAs concert will be held in June and will highlight the music, passion and strength of our most popularized female performers. Ms. Pedi will perform some of her own content and will join the Chorus in other arrangements. Christine Pedi is regularly heard on her SiriusXM radio program and attracts a diverse audience. The delightful DIVAs performance is expected to be an attraction for many culture-lovers well beyond the traditional audience for the DGMC’s offerings. The Rosenthal Foundation will be the sole underwriter for DIVAs. 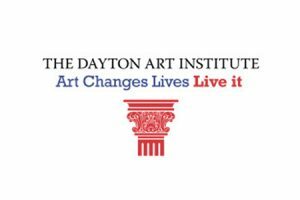 In recognition of the Dayton Art Institute’s Centennial Year (2019), the Rosenthal Foundation has made a major grant to underwrite the primary components of the DAI’s year-long celebration. The goal is to have 100 activities and events for the community to enjoy! The primary community-based events that will take place with the Foundation’s underwriting are two Community Days, one in the spring and one in the fall and a special exhibition For America: The Art of the National Academy. Each Community Day will offer a free day full of family arts projects, performances in the auditorium, tours of the galleries and activities throughout the museum and the DAI grounds. Read a recent feature article from Dayton Business Journal about For America: The Art of the National Academy, a distinctive collection of American art that includes nearly every major American artist – dating from 1825 to the present. As its opening spectacular for the 2019-2020 season, the combined resources of the Dayton Philharmonic, Dayton Ballet and Dayton Opera will present Haydn’s, The Creation, long recognized as one of the most incredible oratorios ever written. The oratorio relates and celebrates the creation of the world from the pages of the Book of Genesis and John Milton’s Paradise Lost. The production is orchestrated to be a dramatic, fully-staged piece that will amaze and deeply-satisfy attendees. The Foundation has elected to be the primary sponsor of this ground-breaking concert that brings together some of Dayton’s most cherished performing arts resources.